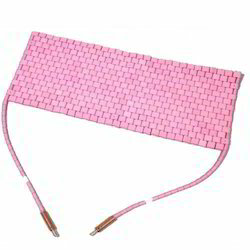 We are a leading Manufacturer of flexible ceramic pad heater from Navi Mumbai, India. we are the best known manufacturer and supplier of Flexible Ceramic Pad Heater. These coolers are manufactured by our professionals using best material and technology under the supervision of our experts. In addition to this, the offered products are accessible with us in numerous modified options at market-leading prices. Looking for Flexible Ceramic Pad Heater ?